Working in sponsorship, every journey makes an impression on my life. I really appreciated the opportunity to meet with Linh, a 10-year-old girl enrolled in our sponsorship programs, as she welcomed her sponsor for a visit to her small village in the mountains of Vietnam. Here, in Phong Hai commune of Lao Cai province, people live high up in rural mountain villages and rely on agriculture, growing crops such as maize, rice, cassava or tea, to support their families. I still remember the happiness that filled her face when she expressed her feelings about the day her sponsors would arrive. Her eyes lit up and she smiled brightly, and I felt a warmness touch my heart. It was a rainy day, and she was playing with her friends while waiting for the exciting arrival. Suddenly, she caught the smile of her sponsors. She recognized them immediately – they had included a photo of them in their first letter to her which she cherishes. Linh and her sponsors making gu cakes. What an amazing thing! Thanks to sponsorship, she was able to get acquainted with her two foreign friends, coming from a faraway country on the other side of the world – Italy. Their names are Federica and Manolo, a married couple who have been getting acquainted with Linh through letter writing over the past year as her sponsors. She felt unbelievable, almost like a little princess from the fairy tales her mother had told her when she was younger. 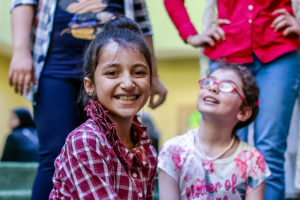 She felt one of those stories had become her real life when she met her sponsors, as they came to her school and met with her teachers, friends and her family. “Hardly did I have [such a] memorable time like that. 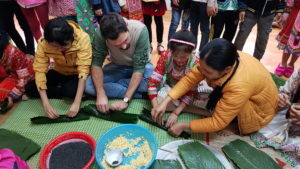 We talked to each other and played special games, like badminton… Then, we made traditional cakes.” These special cakes, called “gu cake”, is a traditional dish of the Dao ethnic group, an ethnic minority of Vietnam that lives in this area. It is made by wrapping a mixture of purple sticky rice, green beans, salt and pork in banana leaves and bamboo strings, and then boiling for a very long time, up to 5 or 6 hours. They are made to celebrate the Tet holiday, or the Lunar New Year, in Vietnam, and traditionally are placed on an alter to worship ancestors. Sponsorship staff member Nga, Linh and her sponsors, Federica and Manolo. It was with a saddened voice when she spoke about saying goodbye to her sponsors. I would like to express my sincere thanks to those sponsors that visit our programs. It is such a unique and amazing opportunity to make a connection across distances and cultures. Thanks to our sponsors for their kindness in helping disadvantaged children in Vietnam and the world over. 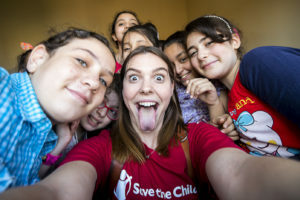 After participating in this visit, I have more motivation and passion about my work at Save the Children, with the big mission to better the life of children. 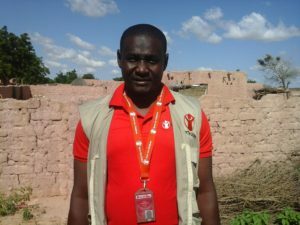 When the Sponsorship program started in Niger in January of 2015, I was among the lucky staff members tasked with implementing the program in the selected 25 communities. The fact that I am from the region of Maradi, where Sponsorship now works, doubled my commitment to work for the welfare of children in this area. The work of a community facilitator is not an easy task, but it’s worth doing since it benefits children, their parents and the region as a whole. Sama laughing and drawing with some sponsored girls. When I wake up in the morning, I first have my breakfast and then I check everything is in working order on my motorcycle. Despite the hot, sunny days and sandy roads, I enjoy going to the communities. We have become, as a part of Sponsorship, members of these communities. From afar the roaring of my motorbike can be heard, and children welcome me with their joyful “youyous”, a local saying used to describe the excited and joyful shouts of children, because they all know that I always come with good news – news from their sponsors or enrollments welcoming new children into the programs. Smiling Sponsorship kids Djamila, Farida, Aicha & Maimouna. Children and parents are all proud when a child receives a letter from a sponsor. It’s new to them, but they already have confidence in Sponsorship’s activities. For parents, the program is a huge relief as they will not have to worry about buying school supplies. Children too believe in the change that will occur in their education, as their teachers are being trained and the school environment is already starting to transform. 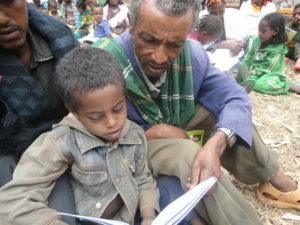 Reading camps are being set-up in communities and stocked with storybooks. The use of positive discipline is being taught to teachers, which means no more violence at school and children are made comfortable in class and are able to develop relationships with their teachers. In these rural communities, letters coming from abroad are treasured and he who receives a letter from a sponsor is seen as a lucky child. 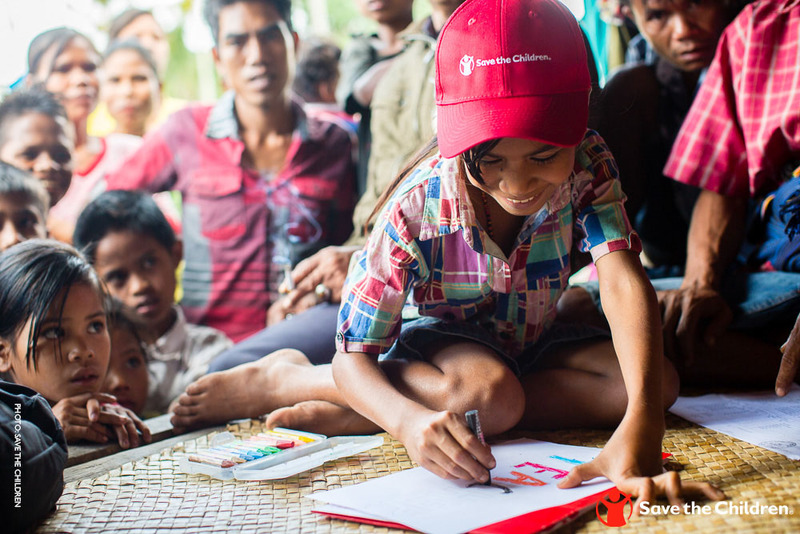 Creating drawings for replies to sponsors is a scene of celebration as children are gathered to work together on them, and it’s marvelous. 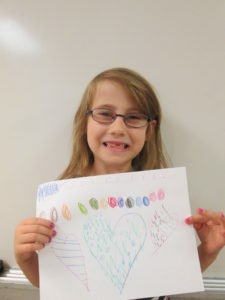 Have you written to your sponsored child recently? We hear over and over that children “treasure” the letters they receive from sponsors – it truly is seen as a wonderful gift! We hope you will consider taking the time to write a quick note or send some photos of yourself and your family to your sponsored child. Know they will indeed treasure it for years to come! 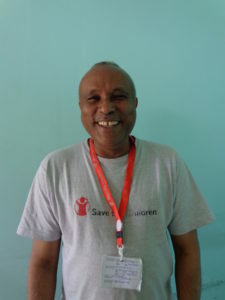 I felt very fortunate when I joined Save the Children’s Sponsorship team in Oromia as Education Program Coordinator in 2015. 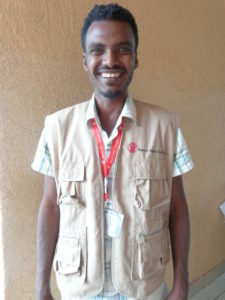 I work with a highly committed and energetic team that is shaped by Save the Children’s core values and principles, in always reflecting accountability and innovation to continuously improve the quality of our programs reaching children, even during difficult times. 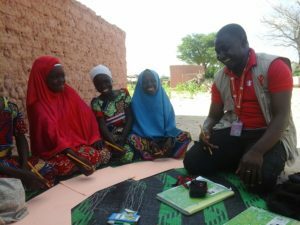 Save the Children has been implementing Sponsorship programming that partners with local communities in improving children’s access to quality education, by providing trainings for teachers, teaching materials for classrooms and conducting a continuous dialogue with community members and parents to improve their knowledge, attitude and skills on children’s development and improving educational environments. 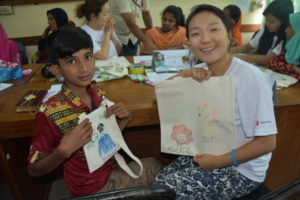 This past year, the Sponsorship team began programs in Summer Learning Camps (SLCs), so that children can continue their education and be engaged in learning during the summer break from school. 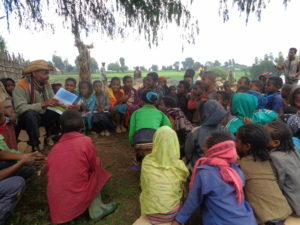 So far, nearly 250 villages in West Showa now provide SLCs for their learners. Broadening our reach even further, some SLCs serve additional smaller neighboring villages. A child and community elder enjoying storytelling time together in a Summer Learning Camp. We travel on foot, walking long distances and crossing rivers, to meet community leaders, identify camp sites, select village volunteers to manage the camps and to deliver camp materials. I was one of the team leaders who went to a small rural village, to meet with local elders, community leaders and village members to discuss and identify a new SLC site. One farmer was waiting to greet us. He led us to where the community members were already waiting for us, sitting in the shade under a big tree. After we greeted and introduced ourselves, we then discussed the SLC initiative that we hoped to start in their village. They were so happy that they blessed us and told us they would support us in any way they could. They shared they too understood the significance of keeping their children in contact with books and reading during school breaks. 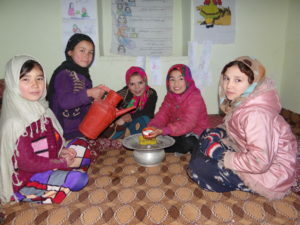 They were also thankful to hear that book banks, or portable libraries with reading and writing supplies, and different kinds of games would be provided for their children. 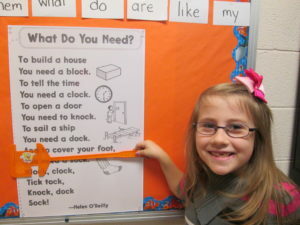 They excitedly discussed the possibility of children being able to borrow storybooks to read at home. As we finished our discussion they led us to the camp site they proposed. When looking to identify sites, we make sure that there are no natural hazards nearby like cliffs or rivers in which children could hurt themselves, as well as other hazards of town-life like stray dogs or nearby roads. As this location was in a shady and grassy field, we agreed it was a very safe place for children to learn and play. Children excitedly gather for storytelling with one of the elders. We also agreed to build the tents for the camp together, and that the community members would provide wood to help construct the tents. They also said they would make wood benches for the children. Sponsorship then in turn provides the additional materials needed, like storybooks, educational games and the plastic for the tent itself, and helps train facilitators to run the camps in a child-friendly way, to help foster a love of reading in all the camps’ participants. After a site is set up, we visit the Summer Learning Camps twice a month. I always feel happy when I’m able to do this, and see the children playing and reading at the camps. When I arrive during the elders’ storytelling time with the children, I really enjoy sitting for a moment to listen to the stories with the kids, and return back to my work station with renewed energy. I love my career and feel lucky to be part of such a dynamic team that is always turning challenges into opportunities, to create positive changes in the lives of the children our sponsors help us reach. Hello, my name is Noemi. 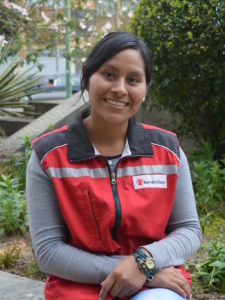 I am a Sponsorship Operations Assistant for Save the Children in Bolivia, here in Cochabamba. I would like to share with you some of the valuable work Sponsorship makes possible, and one of the amazing people that works directly with the families and children we support. 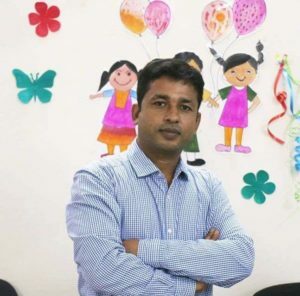 Meet Justa, a primary school teacher who has been working with children for over 22 years. Justa explaining the Sponsorship enrollment process to children. 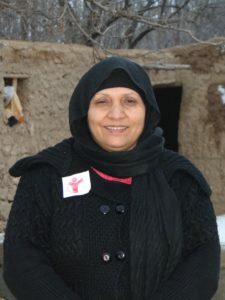 When Sponsorship arrived, Justa viewed having Save the Children work in her school as a great opportunity to further improve educational quality for her students through its various programs. 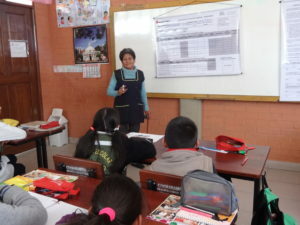 She regularly participates in Sponsorship workshops, meetings and activities to learn how to make her lessons more engaging and improve her teaching processes. She understands the importance of the operational piece of Sponsorship, and how helping our programs run like a well-oiled machine on the ground directly relates to the funds we receive through donors. 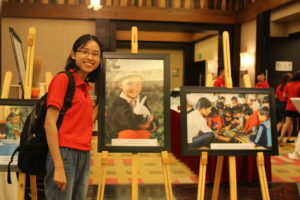 This combined with her great experience in our workshops and trainings motivated her to become a Sponsorship Operations Lead Volunteer in her school. She tells us Sponsorship is “Save the Children’s engine”. 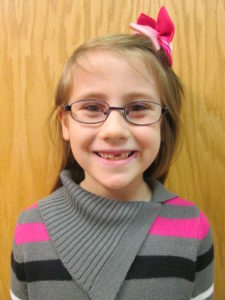 In volunteering to facilitate sponsorship operations, Justa helps enroll new children into our sponsorship programs. 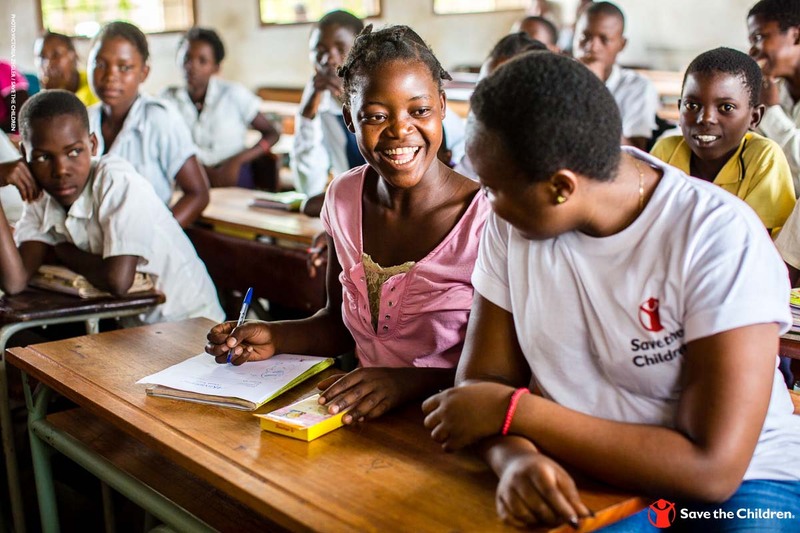 The first and perhaps most important step of this process is meeting with parents to explain what Save the Children does and how it helps children, schools and communities. 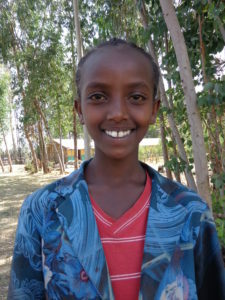 Justa thus acts as an ambassador for our programs in her community, helping to explain the purpose of our strategies in health and education, and sharing results from other Sponsorship supported areas and those already occurring in her school. 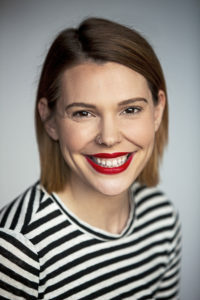 She also encourages parents and teachers to attend events and fairs on topics like health, safety and education, to help them improve the learning of the children in schools and at home. By organizing meetings with parents and community members, volunteers like Justa help us continue to reach even more children in need. Justa with her students, Rosmery, Sindel, Teresa, Maria, Cristian, Luciano, Brayan & Roberto. Have you written to your sponsored child recently? When you do, dedicated Sponsorship team members in each of our country offices sit with your sponsored child to help them compose letters to their sponsors, and learn about reading and writing while they do. Someone like Justa will be beside him or her, guiding them to put their thoughts into words and say hello from across the globe.